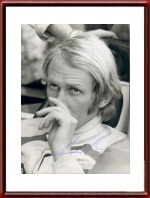 Dr. Helmut Marko signed B&W Portrait Photo. 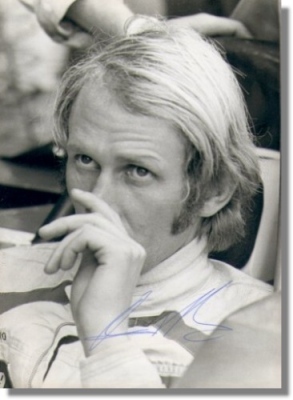 The photo shows Helmut before a race in 1971 or 1972. The photo is signed in blue ballpoint on the front.